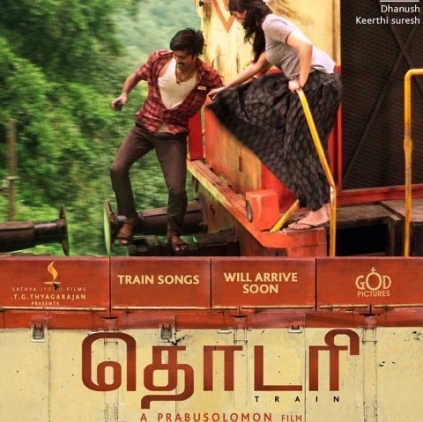 Thodari, with Prabhu Solomon at the helm is seeing progress on multiple fronts. The upcoming tamil romantic thriller features Dhanush, Keerthy Suresh, Ganesh Venkatraman, Pooja Jhaveri, Thambi Ramiah, Radha Ravi and others while D.Imman has composed the music. D Imman has finished all that is required to release the album and now Thodari audio is all set to launch on June 6’th. D.Imman, who through his official twitter handle confirmed the update, seemingly hinted on the album might be more inclined towards melodies. Right on the heels of this update is another update: Keerthy Suresh tweeted that she has finished dubbing her parts. With this, both the lead roles have finished their dubbing portions. We wish the team of Thodari best of luck for their project. Stay tuned for more updates on Thodari. Will Nayanthara shy away from the sequel? People looking for online information on D Imman, Keerthy Suresh, Prabhu Solomon, Thodari will find this news story useful.